Leisure: Adventuring with my person and dogs. Cooking yummy food. Live music. This dish traditionally comes with rice and lettuce: Eaters tuck the deliciously tangy pork and vegetables into lettuce wraps with bite-sized pieces of rice. Francesca has reimagined it with noodles! But we still recommend tucking it into crunchy lettuce because its fun and strangely tastier. 1. 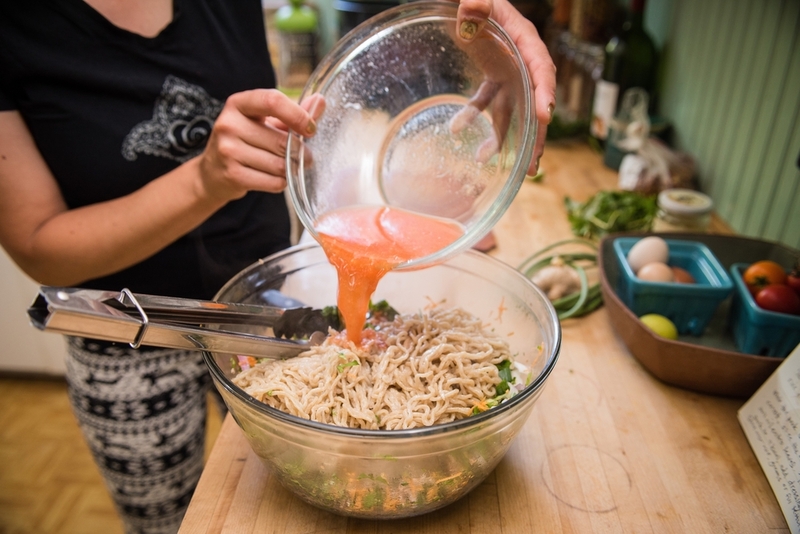 In a medium bowl, whisk together lime juice, ginger, fish sauce, chili sauce, and chili oil. Set aside. 2. In a large skillet, heat oil over medium heat. Add pork and cook, stirring, until browned, 8-10 minutes. Add garlic and cook 1 minute more. Using a slotted spoon, transfer pork to a paper towel-lined plate and allow to cool. 3. Bring a large pot of water to a rapid boil. Gently pull apart and fluff noodles. Add noodles to water and boil 2 minutes, stirring often. Drain, rinse with cold water until noodles are cool, and shake out excess water. 4. 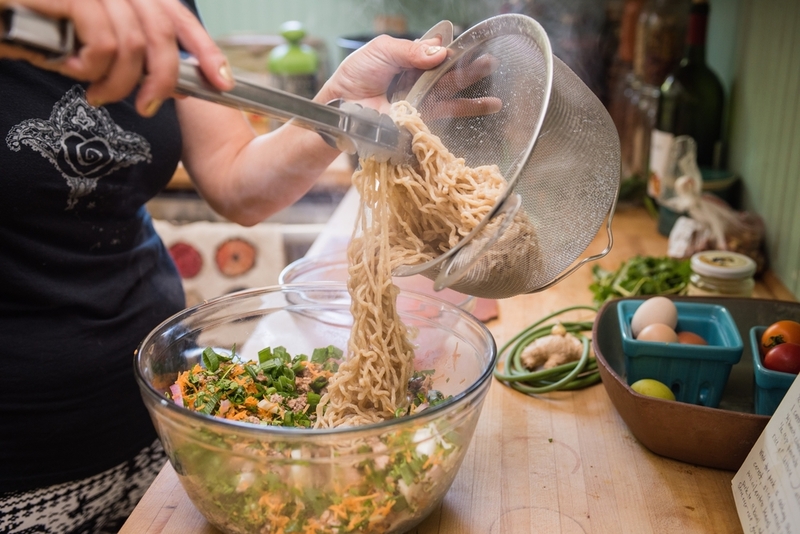 In a large bowl, toss together pork, onion or scallions, cilantro, peanuts, and noodles. Drizzle dressing over noodles, toss again, and divide between bowls. Serve with lettuce.